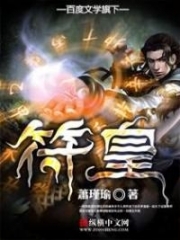 You’re reading novel Descent Of The Phoenix - 13 Years Old Princess Consort Chapter 583 online at LightNovelFree.com. Please use the follow button to get notification about the latest chapter next time when you visit LightNovelFree.com. Use F11 button to read novel in full-screen(PC only). Drop by anytime you want to read free – fast – latest novel. It’s great if you could leave a comment, share your opinion about the new chapters, new novel with others on the internet. We’ll do our best to bring you the finest, latest novel everyday. Enjoy! When Liu Yue had said up to this, she abruptly threw the winecup in her hand onto the small table in front of her. The winecup hit the small table and let out a loud ‘dong’ sound. Liu Yue’s cold eyes swept across the officials, her gaze was as sharp as a knife. She continued, “Yet, instead of being grateful for my grace, you want to kill me. Good! I am the type of person that repays kindness with grace and repay enmity with enmity. Empress Dowager Xiao entrusted Bei Mu to me. She believes that I will bring Bei Mu to a new era. For this trust, I would be willing to go through mountains of daggers and seas of fire. Her sharp and ice-cold words resounded through Chen Lan Hall and slowly floated far into the distant night. The hall was in complete silence. The officials became speechless after hearing Liu Yue’s speech. Their expression turned unsightly as they laid on their chair, unable to move because they had been paralyzed by poison. “Regent, this… this can be discussed. We don’t mean it that way…,” Prime Minister Xiao Chen responded as he slightly wrinkled his brows. When Liu Yue heard that she sneered, “What else can we discuss? I had sworn loyalty to Bei Mu. Yet in the end, what did I get? If I haven’t made preparation before this banquet, I would’ve been already dead by now. So what else can we discuss? The calm and gentle Liu Yue from the beginning of the banquet was like a sleeping tiger. Now that the tiger has awoken, it has bared its sharp teeth. Seeing that Liu Yue was being both determined and resolute in her decision, the officials who had stayed neutral and those who acted like they were watching a play, immediately started to reason with Liu Yue. You're reading novel Descent Of The Phoenix - 13 Years Old Princess Consort Chapter 583 online at LightNovelFree.com. You can use the follow function to bookmark your favorite novel ( Only for registered users ). If you find any errors ( broken links, can't load photos, etc.. ), Please let us know so we can fix it as soon as possible. And when you start a conversation or debate about a certain topic with other people, please do not offend them just because you don't like their opinions. You're reading Descent Of The Phoenix - 13 Years Old Princess Consort Chapter 583. This novel has been translated by Updating. Author: Yi Shi Feng Liu, 一世风流 already has 237 views. Current Time is Apr-25-2019 14:05:10 PM.